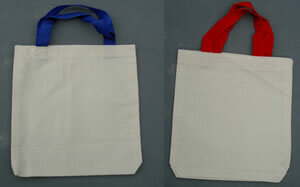 Plain fabric calico bags with red or blue handles. They are ready to personalise with fabric pens or paints. They are ideal for little ones.